"Where is the Doctor at the Doktorwirt?” This is the question our guests repeatedly ask when they choose this beautifully located Aigen hotel at the foot of the Gaisberg mountain in Salzburg, Austria. But sorry! There is no doctor in the Family Schnoll who runs the Hotel very professionally today. There is no academic title in “Doktorwirt” – but, the question leads immediately to the history of this charming property and hotel – a history not only about Salzburg and its surroundings, but also one about links with other Alpine states such as Bavaria and Switzerland. Stepping into the reception area, you stand in the oldest part of the “Doctorwirt,” a building built around 1100AD, a time in which Salzburg had just received its city rights. What is called “Doktorwirt” today was originally a farm estate, first mentioned in documents in 1412. In 1451, Leonhardt Frieseneckher was the owner, and from him the estate derived its original name, Das Frieseneggergut zu Aigen. - Friesenegger estate It was not until 1670 that a real doctor was involved in the house, a very famous family, Herr Franz Mayr M.D. (privat doctor of arch bishops) and his wife Maria Johanna. She was a member of a well-known northern Italian family, Santino Solari, and it was her family that was involved in the construction of the Salzburg Cathedral. From this time, forward, the property was called Frieseneggergut - Doktorwirt. In the following centuries the estate was sold a number of times, moving from family to family: In 1789 Hannes Sienlechner bought the estate and 1802 Rup Eisl and his wife were named as owners. family whenever he was traveling in his business. Near the city of Salzburg in Aigen, it was not part of Salzburg as it is today, he found a small estate that he immediately liked. Shortly after he had moved, the Doktorwirt became a well known as a place to get a cool beer. Here was the only ice house in the region. In the court yard the people of Aigen gathered to play cards and celebrated family meetings. They had the traditional maypole celebration here even though the church was not near the Gasthof. George Latz and his wife, Anna had three children: young Georg, Christoph and Elisabeth. Shortly after the disappearance of the older son Georg another heavy blow hit the family: The second son was killed by a wild cow. So the estate was taken over by the only daughter, Elisabeth on April 20, 1892. When she married Joseph Schnoll, 13 February 1893, the Doktorwirt came to the Schnoll family, and it has been in continuous possession of the family Schnoll ever since. The name of Schnoll comes from the familys Keltic forefathers. The ancestors had been working in the salt mines of Hallein (you may still visit these mines) and settled as farmers later on at the Wimberg mountain. Great grandfather was Peter Schnoll. His son Joseph was one of eight (8) sons. There was not enough work and space for all of them so Joseph left his family and moved to Aigen where he worked as a coachman for the famous and wealthy family Angelberger  they had a firm of carriers, and some houses and farms. Joseph used his promotion prospects and finally became administrator of the Taxacher estate. He fell in love with the neighbors daughter Elisabeth Latz. They were married and had three sons, Joseph, Karl, and Fritz. As in the generation before, the oldest son was not really interested in working. He married and moved into the house of his wife; he also suffered from his attachment to alcohol. He died when crossing the train tracks --- it is rumored that his ghost haunted the upper floors of the Schnoll estate up to the end of the 20th century? Who knows? Karl I, born on September 21, 1896 inherited the estate. He was a carpenter and joiner who could ill afford to marry. 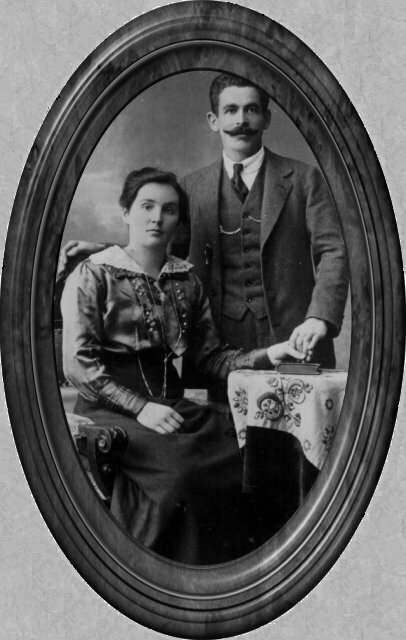 Anyway, he became engaged to Rosalia Haslauer, born April 19, 1898, who was from the famous estate Zandgut on the Gaisberg mountain  an honor for Karl and a must  They had a baby girl who died 3 three years later of diphtheria. In 1927, a second child was born, another Elisabeth  who today is known as Aunt Lisi, or Tante Lisi. Their third child was a boy, Karl II, the senior chef of today, in the 1950s, after the American occupation forces left Salzburg, he learned to be a plumber and planned to emigrate to Canada. He expected his older sister would take over the estate as the women of the family had always been the mistress, and also the good souls of the house - so it was with his own mother and his Grandmother Elisabeth. Karls mother died very suddenly - only the evening before her death, she smoked her little pipe, gave sovereign instructions to the family and went to bed. She never woke up again. But, Karl I had other plans. He gave his son the alternative of taking over the estate, or he would have sold everything. And Karl II stayed. 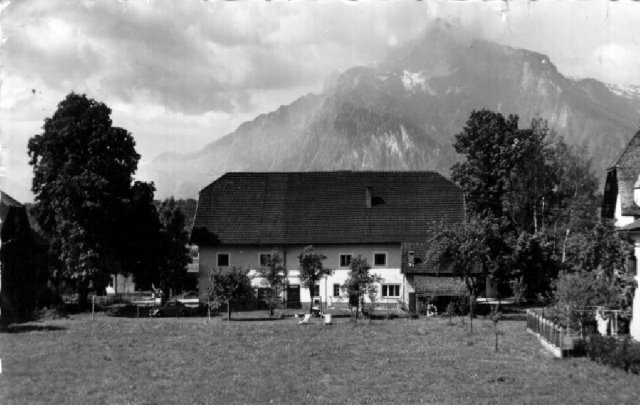 It was this decision that laid the foundation for the modern development of the Gasthof Doktorwirt. Several phases of rebuilding have made the Doktorwirt to what he is today: A Hotelrestaurant, with country flair mixed with typical Salzburg culture and life. 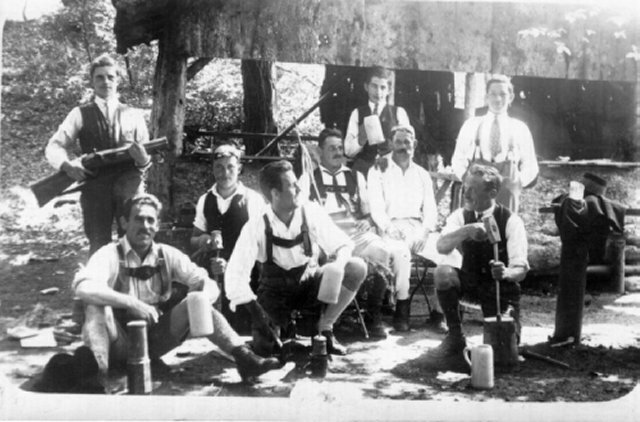 Karl Schnoll II found his great love in the neighboring state of Switzerland. In 1964 he married Anna Louisa (Annelies) Durrer. Annelies Grandmother von Fluh was a direct descendant of St. Nikolaus von Fluh (1417  1487) who left his wife and 10 children to become a hermit, and subsequently was canonized by the church. Karl Schnoll III became the official head of the Gasthof. In January 2001he received the hotel from his father by contract and his twin sisters, Carolin and Elisabeth acting as the good souls of house. 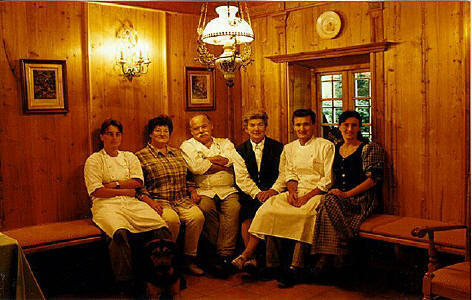 Along with their parents, they share in the work of the gasthof, its kitchen, its restaurant, its hotel, not just around the clock in the hotels reception and kitchen, but also in keeping alive the old live and traditions of Doktorwirt. Even with the progress of several hundred years, all the old traditions at Doktorwirt are very much still alive. Our hotel is measured in the satisfaction of so many guests returning year after year. The address of Salzburg-Aigen, Glaserstrasse 9 is known around the world  aller Welt bekannt ist. Since its beginning Hotel Doktorwirt has grown to be a cozy, warm, very traditional Austrian - family operated hotel and restaurant for a wide ranging international and local clientele. Its kitchen is known far and wide for its delicious Austrian and gourmet cuisine. In 2012 the siblings Caroline and Karl take over the neightbor house, the former smithy of Aigen and rent apartments there. Written by Oliver Buslau.Translated and rewritten with help of G. Bruce McFadden, Westfield, N.J., USA - November 11, 2002 .